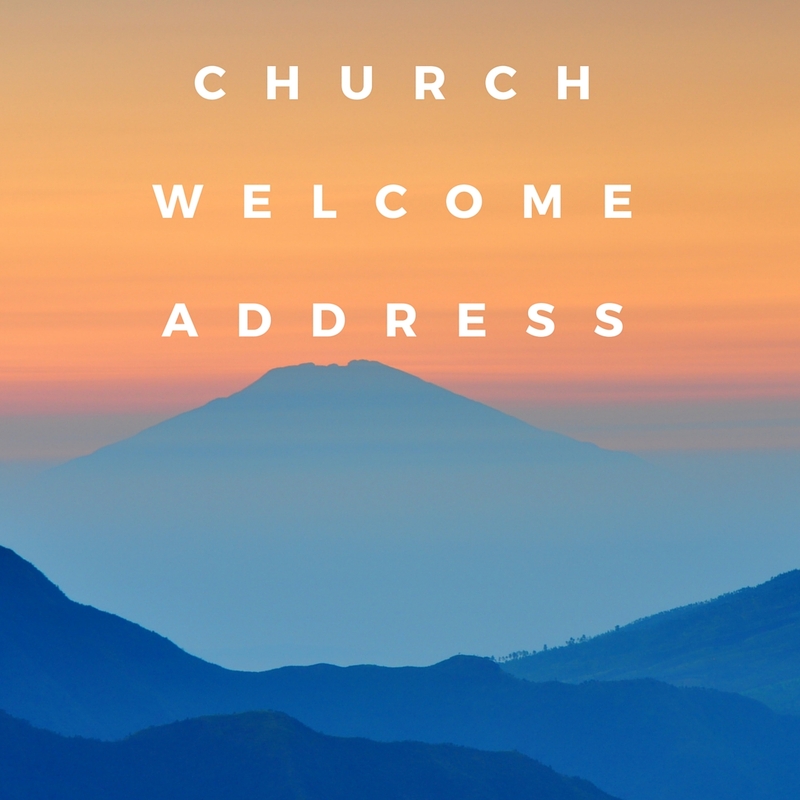 Looking for welcome address for church anniversary? welcome to our page for great sample address that will help you save time. The address or speech is meant to be given in the church. We produce original address that is inspired because we believe in God and know that He will guide us. Below is a welcome address for church anniversary. congratulations! for the anniversary in your church. And that is a sign that your church is growing and maturing at the same time. Here from our site want to wish you all the best and much blessings of the Lord to your church. It is our sincere prayer that as you mark this day. May the Lord keep you strong as you minister to many people and share the messages of the kingdom of God. Here is your welcome address. Our pastor and first lady of our church,Ladies and gentlemen,my fellow church members,invited guests. let me extend warm welcome to each and everyone of you who have come to grace this occasion. We all know what has brought us here this day. It is because of the love of God that we are alive and are able to see this great day in our church. We all have always looked forward meeting here in this manner so that we can look back and see what the Lord has done to us individually and as the church. We all have a duty to harken to the command that the church has been given to spread the gospel to the four corners of the world. We are thankful that the love and grace of God is guiding through thick and thin to make sure that we are fulfilling the mandate of the church. Today marks a very important milestone in our church because we have finished another year today and we are here to celebrate the goodness and mercies of the Lord. I want to welcome all of you who are going to participate in this occasion and as we make it wonderful on behalf of the Lord we want to thank our loving Father God for making this day a wonderful day that all have anticipated all along. I'm sure you are going to enjoy this day as we mark the anniversary. Let take this time to officially kick off the programs of the day and allow me now to introduce the master of ceremony who is going to lead us in this programs of the day. May the love of God lead us through as we enjoy what we have today here. together let us put our hands as we welcome the Master of ceremony and be blessed.